(NaturalNews) As I explain in my latest podcast (below), the FDA's announcement that it will test foods for glyphosate is more of a SHAM than SCIENCE. In my view, the agency's announcement is nothing more than "scientific theater" to pretend to test foods for glyphosate, all while claiming glyphosate is completely safe no matter what levels are found. This is why it's so important that other, non-governmental labs take up the testing of glyphosate at the same time. It's obvious to nearly everyone that we can't trust the FDA's glyphosate tests any more than we can trust the EPA's tests on lead in municipal water supplies. In every case -- FDA, EPA, USDA -- these government agencies have systematically used science to deceive the public, not inform us. As the director of an analytical food science lab, I am intimately familiar with food contamination testing methods and state-of-the-art scientific protocols. I can tell you how the FDA will likely fake their tests to produce artificially low results: They will use an inappropriate glyphosate method with low "recoverability" in order to produce artificially low findings. 3) They can commit straight up scientific fraud by diluting samples after extraction, for example, or by entering the wrong sample mass into the software that calculates the quantitative results. This is precisely what the CDC and EPA routinely do when it suits their political interests, and we know the FDA has a long history of engaging in scientific fraud to cover up the deadly side effects of drugs like Vioxx and Rezulin. For all these reasons, you should fully expect to see private labs producing far higher glyphosate numbers than the FDA, even for the same foods tested. Make no mistake: When it comes to glyphosate, the FDA, EPA and USDA are all engaged in "scientific theater" designed to deceive the public and protect the profit interests of Monsanto, Syngenta, DOW Chemical and other poison pushing corporate giants. This is the role of modern-day corrupt government: to deceive the public at every opportunity while pretending to be doing something important. In the same way the TSA engages in totally useless "security theater" at the airports, the FDA pretends to be interested in protecting the public from toxins in the food supply. If you want REAL science, stay tuned to Natural News and my Forensic Food Lab (Labs.NaturalNews.com) where we'll be releasing all sorts of fascinating and honest food testing results in the months ahead. Glyphosate testing now available! 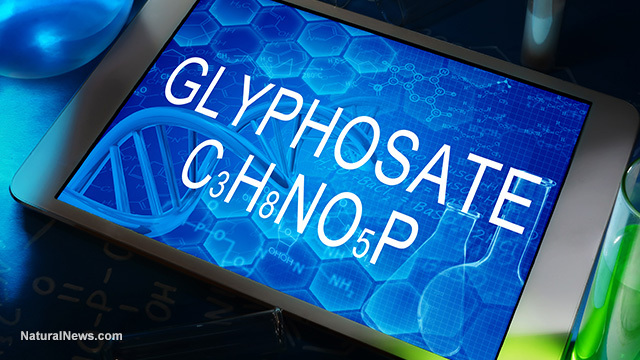 Glyphosate detected in human blood, urine and breast milk - are you contaminated?